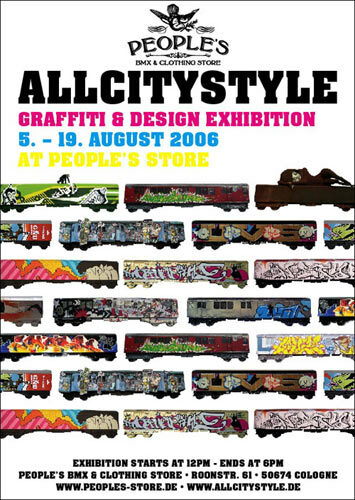 On August 5th the Allcity Style Graffiti & Design exposition will open at the People's story in Cologne, Germany. 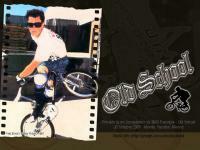 Over 40 designers, graphic artists and graffiti artists (loomit, Boris Hoppek Viagrafik, Marok etc.) have worked on scaled versions of New York City Subway trains. On Saturday August 5th the opening takes place and Mr. Reissdorf is taking care of the beer and DJ Galaxyexpress 999 is taking care of the tunes. Opens at 12:00hr and will end around 21:00hr. With the opening of the "Pivot" skate shop across the street, don't be surprised if there will be chaos in the Roonstrasse. Art show at CFB Oklahoma, OK.
We haven't seen a FATBMX piece lately so those of you who actively participate in graffiti art, feel free to take your sketch book and start drawing. 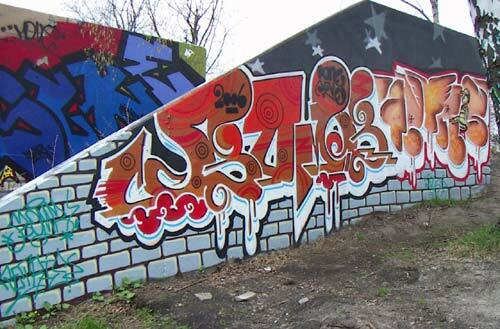 The actual spray-can piece is the ultimate goal whether it's at an illegal spot or not. We grabbed the camera to check on the latest art at the legal spot (Berenkuil) in Eindhoven, NL. If you see a FATBMX throw-up somewhere, make sure to send us a photo of it so we can put it online. Sweet. Up and coming designer...Feign man Kevin Newbury. By Chris. 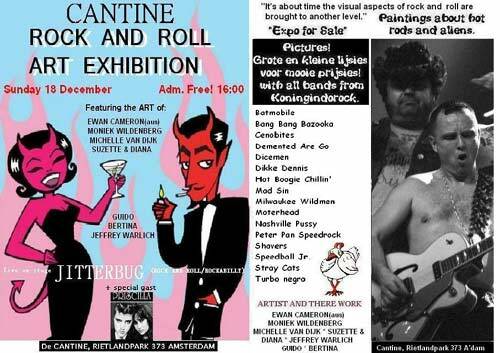 Who, When, Where, What on the Rock and Roll art exhibition as sent in by long time FATBMX contributor Guido who will be displaying paintings himself. When: Sunday 18 December 2005. Starts at 4 pm. Free entrance. Where: De CANTINE, rietlandpark 373, Amsterdam. Tram 10 and 26 will get you there. 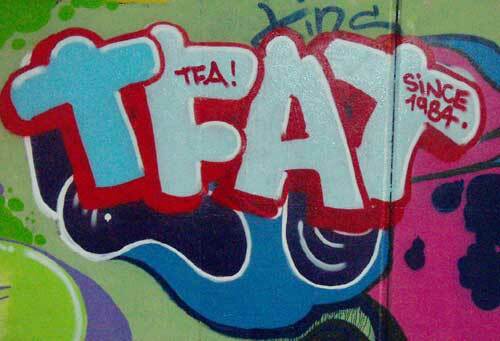 We've got a category on FATBMX dedicated to Comics and Art. Every once in a while we go over to the local graffiti spot to take pics of the latest pieces but sometimes we receive some reader art. These paintings come from the hands of Dutchy Vincent van Gogh, uh I mean Michael de Wit of Medow Design. 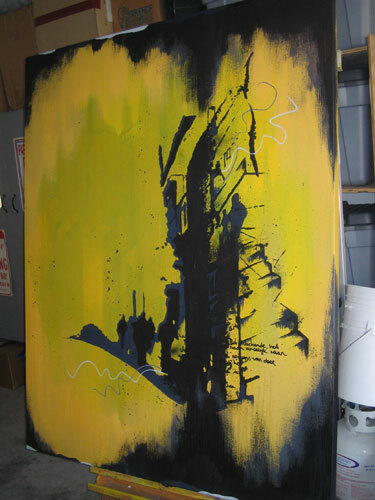 After quitting his job as art director at Globe he had some free time on his hands and started painting. 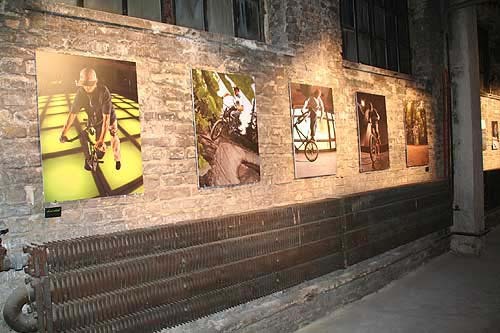 One of the boards ended up in the Dogtown exposition at the ASR trade show. If you're interested in a Medow painting, contact www.medowdesign.com but don't expect something to happen anytime soon as Mike just found a job over at Vans doing all kind of design stuff. 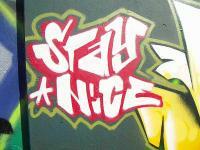 November 2005: More graffiti from Eindhoven. Consider this part 2. October 2005: Graffiti art from the Berenkuil in Eindhoven. Hi.... i send u... some images invitation of the owr next comp... first old xchool.... so.... i want to be member of fatbbmx could u say me how i can to be?... 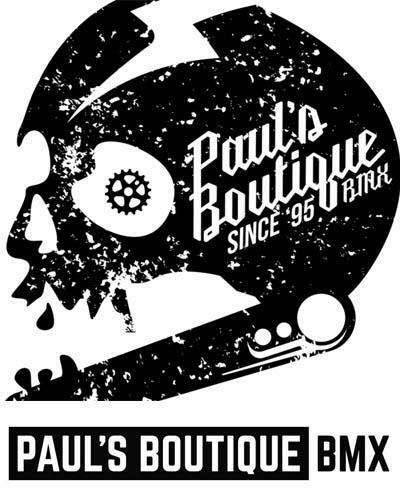 tnx x all Visita nuestro grupo: Street Riders BMX Club Eduardo Paredes MartÃ­nez - Presidente MÃ©rida, YucatÃ¡n, MÃ©xico.